Buchwald works on a guitar in his garage. Less than two years after he moved his family to a home in Burlington’s Hill Section — and retrofitted the garage into a musical instrument-making shop — Adam Buchwald is selling his South Prospect Street home. 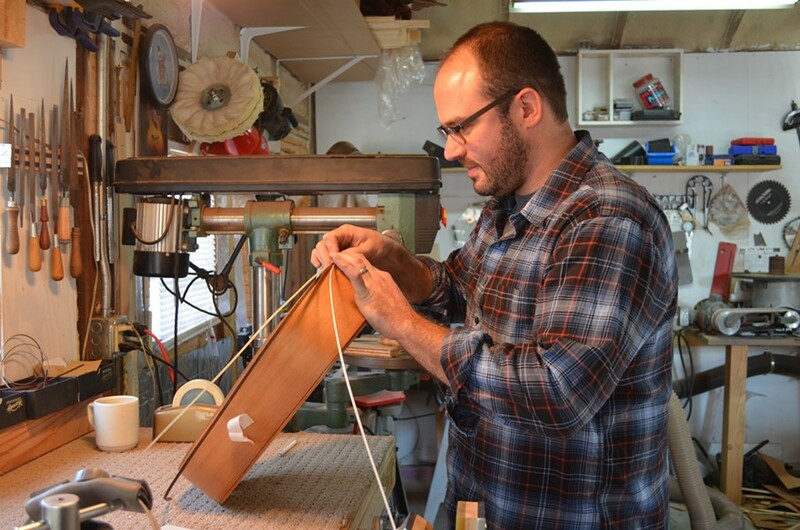 A luthier by trade, Buchwald is bowing out of a battle with his neighbor that dates back to when he and his wife first purchased the spacious, colonial home near the University of Vermont. 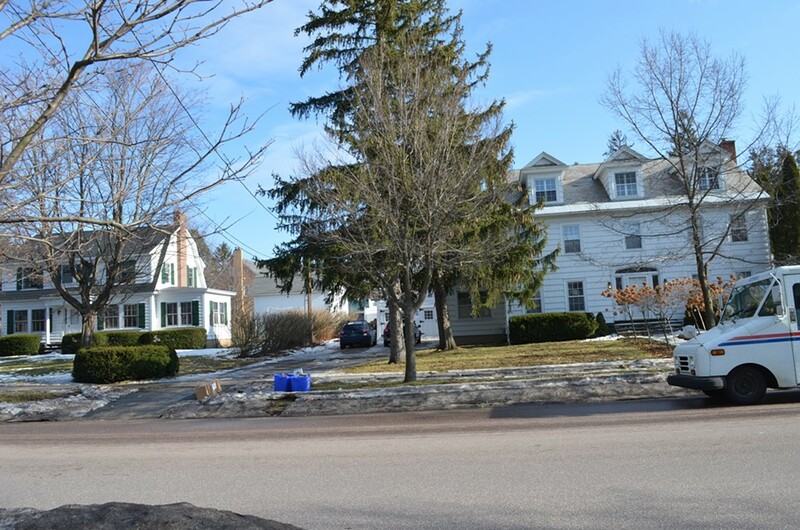 Barbara Headrick, who lives next door, has been trying to shutter Buchwald's home-based business on grounds that the noise it generates has disturbed her peace. What began as a zoning dispute has blossomed into a full-blown legal battle scheduled to come before the environmental division of the Vermont Superior Court in late May. But Buchwald, who’s said he expects the conflict to continue whether or not the court rules in his favor, isn’t waiting around. He has insisted all along that the machine sounds emanating from his insulated garage — if audible at all — are too minimal to be a nuisance. A listing for the four-bedroom, four-bath house appeared on Zillow April 2. After a $40,000 price reduction, the asking price is now $799,000. The Buchwalds purchased the property for $766,000 in 2012. Neither Headrick nor Buchwald responded to requests for comment. Buchwald first received a “home occupation” permit from the Development Review Board (DRB) on September 10, 2012, which gave him permission to craft and repair instruments in half of the converted garage. Headrick fought that permit, and when she discovered Buchwald had begun using the whole garage — something he said he didn’t realize his permit precluded — she alerted code enforcement officials. Buchwald found himself back in front of the DRB, which subsequently granted him an amended permit on December 2, 2013 to use the entire garage for work purposes. From the court's perspective, it’s the city of Burlington, not Buchwald, that’s on the hook because, technically, Headrick is appealing the DRB’s decision to grant Buchwald an amended permit. Buchwald's house (right) and Headrick's. But the dispute quickly turned personal, and the “statement of questions” Headrick submitted to the court seems to suggest Buchwald intentionally flouted city zoning regulations. Acting on advice from friends, Buchwald said he reluctantly lawyered up. Headrick’s complaints, however, extend beyond decibel levels. Her “statement of questions” alludes to an alleged conflict of interest involving a city official and the DRB. Headrick also takes issue with the number of customers coming to Buchwald's shop and suggests he had an employee, which would have been a violation of his permit. Correction 04/28/14: The photo caption has been updated to indicate the correct location of Buchwald's house.